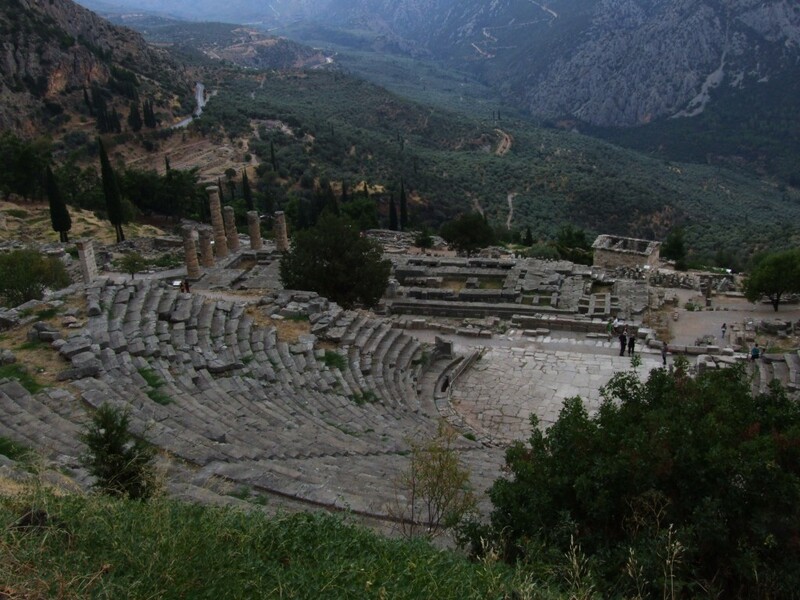 Delphi is both an archaeological site and a modern town in Greece on the south-western spur of Mount Parnassus in the valley of Phocis. 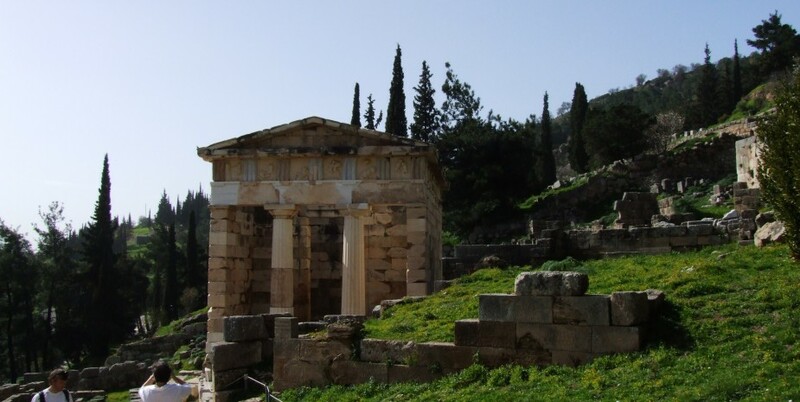 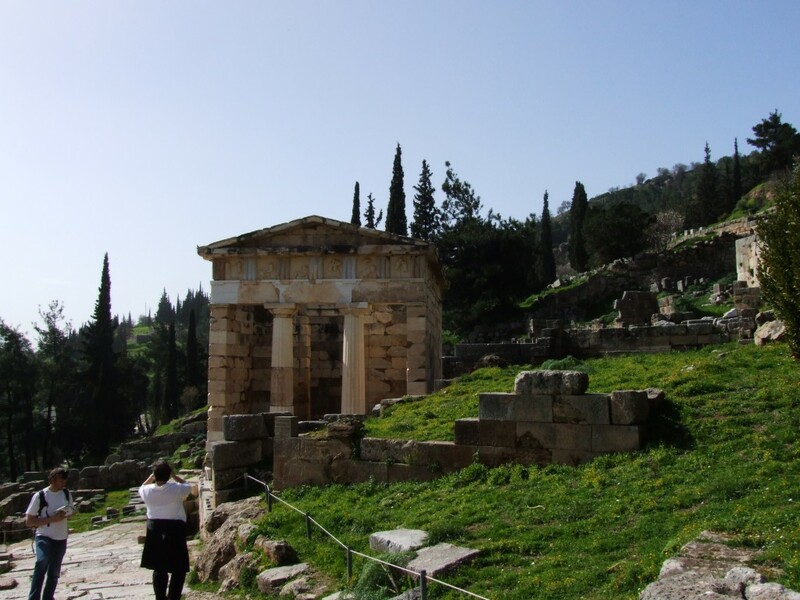 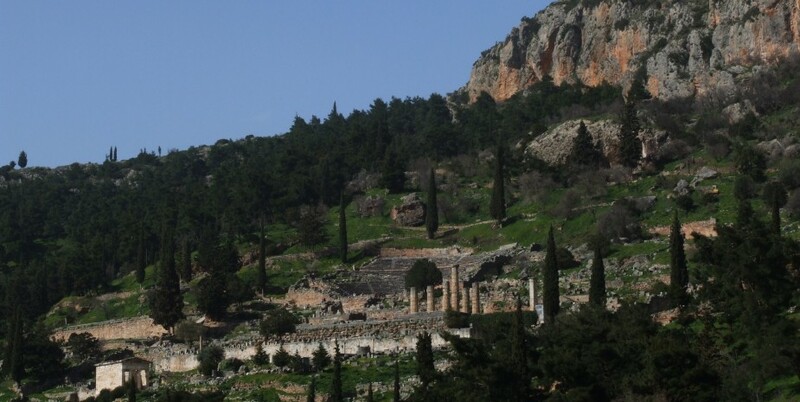 In myths dating to the classical period of Ancient Greece (510-323 BC), the site of Delphi was believed to be determined by Zeus when he sought to find the centre of his “Grandmother Earth”. 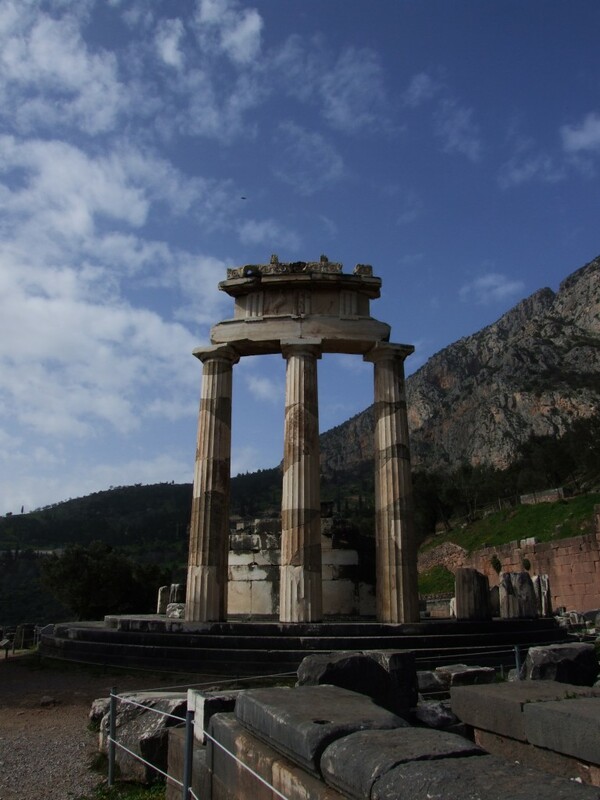 He sent two eagles flying from the eastern and western extremities, and the path of the eagles crossed over Delphi where the omphalos, or navel of Gaia was found. 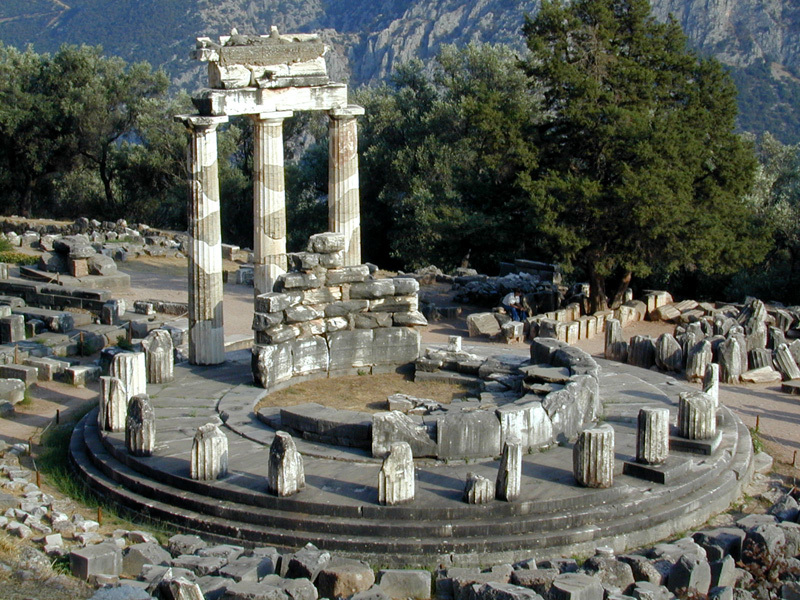 Earlier myths include traditions that Pythia, or the Delphic oracle, already was the site of an important oracle in the pre-classical Greek world (as early as 1400 BC) and, rededicated, served as the major site during classical times for the worship of the god Apollo after he slew Python, “a dragon” who lived there and protected the navel of the Earth. 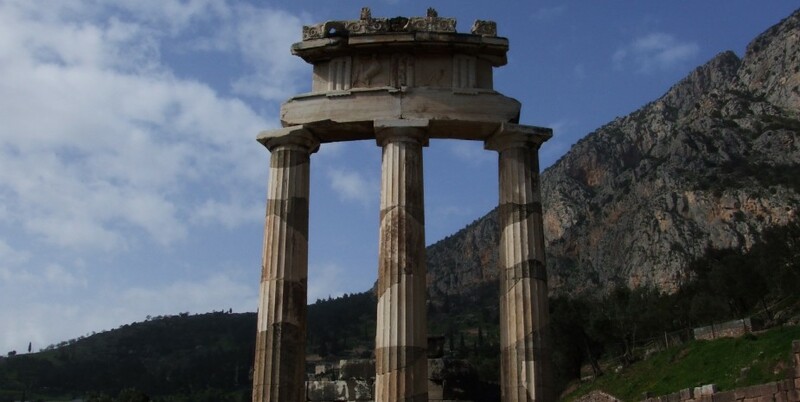 “Python” (derived from the verb pythein, “to rot“) is claimed by some to be the original name of the site in recognition of Python which Apollo defeated. 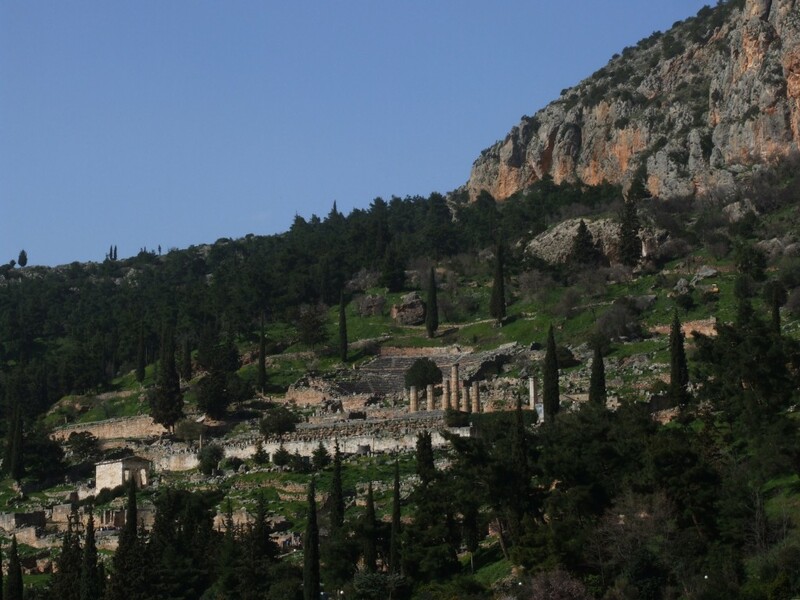 The Homeric Hymn to Delphic Apollo recalled that the ancient name of this site had been Krisa. 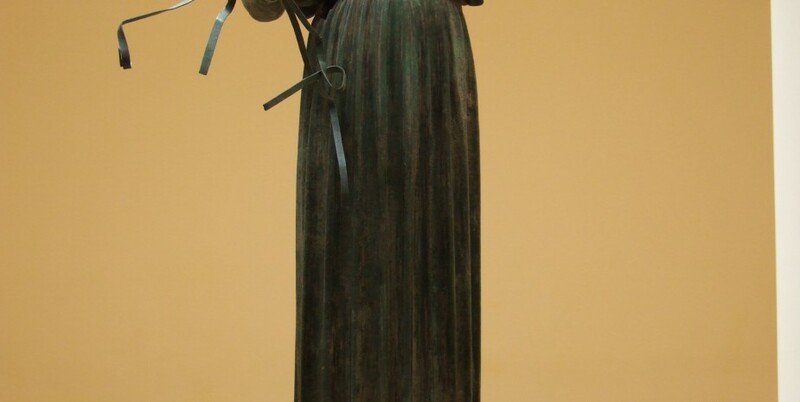 Others relate that it was named Pytho and that Pythia, the priestess serving as the oracle, was chosen from their ranks by a group of priestesses who officiated at the temple. 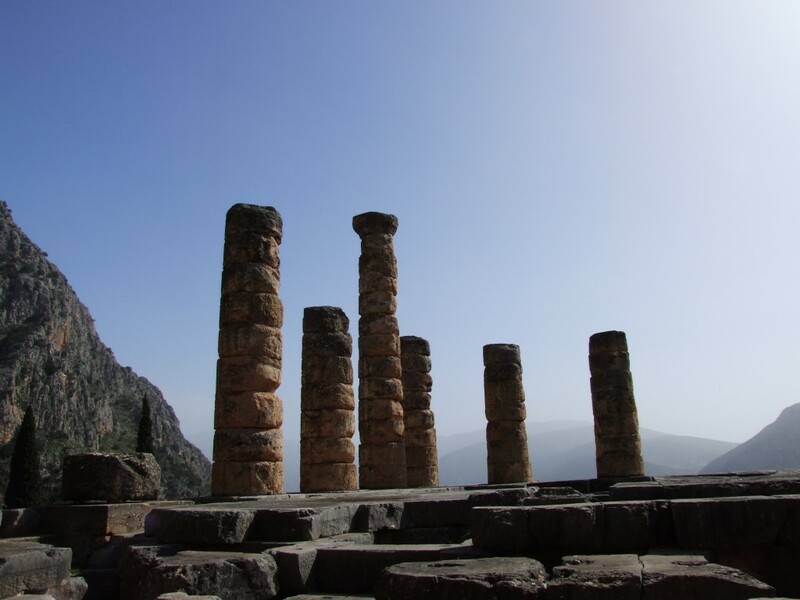 Apollo’s sacred precinct in Delphi was a panhellenic sanctuary, where every four years, starting in 586 BC athletes from all over the Greek world competed in the Pythian Games, one of the four panhellenic (or stephanitic) games, precursors of the Modern Olympics. 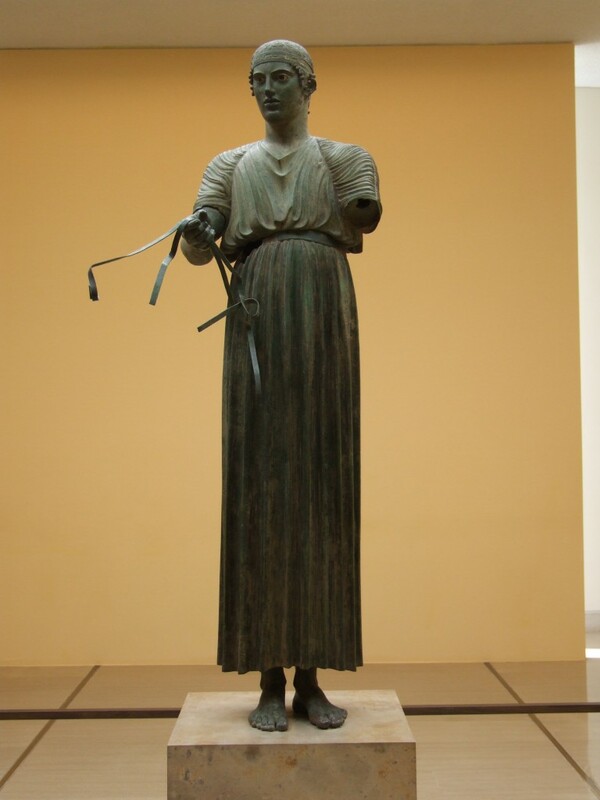 The victors at Delphi were presented with a laurel crown (stephanos) which was ceremonially cut from a tree by a boy who re-enacted the slaying of the Python. 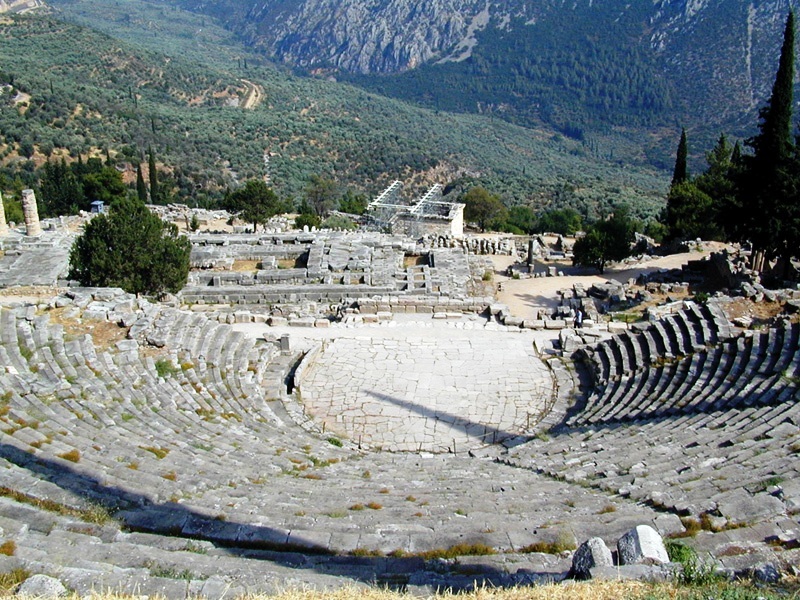 Delphi was set apart from the other games sites because it hosted the mousikos agon, musical competitions. 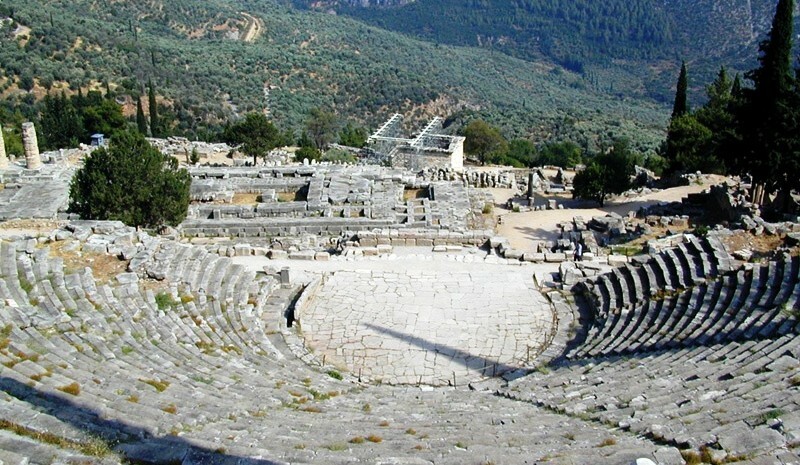 These Pythian Games rank second among the four stephanitic games chronologically and based on importance.These games, though, were different from the games at Olympia in that they were not of such vast importance to the city of Delphi as the games at Olympia were to the area surrounding Olympia. 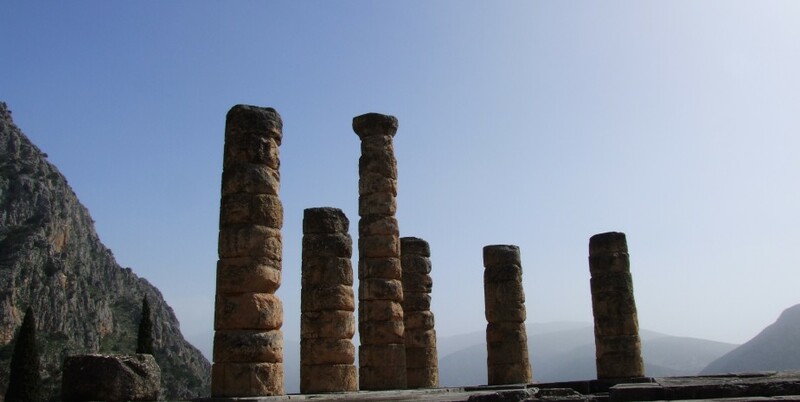 Delphi would have been a renowned city whether or not it hosted these games; it had other attractions that led to it being labeled the “omphalos” (navel) of the earth, in other words, the center of the world. 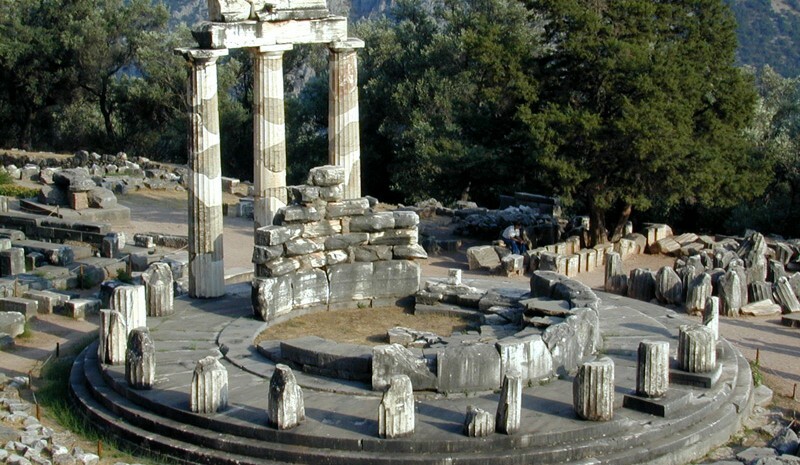 In the inner hestia (“hearth“) of the Temple of Apollo, an eternal flame burned. 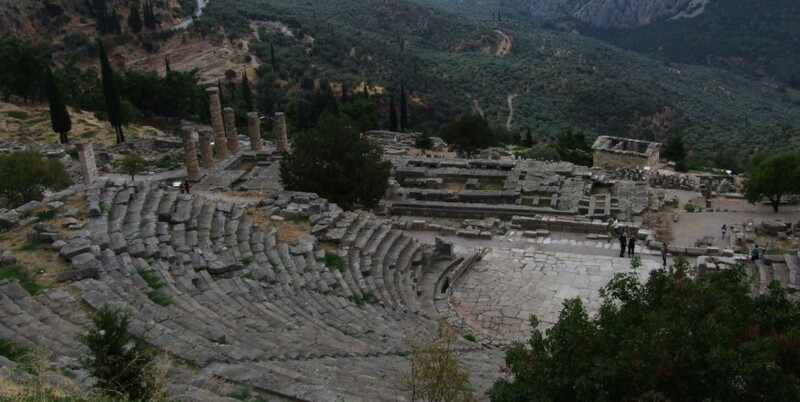 After the battle of Plataea, the Greek cities extinguished their fires and brought new fire from the hearth of Greece, at Delphi; in thefoundation stories of several Greek colonies, the founding colonists were first dedicated at Delphi.